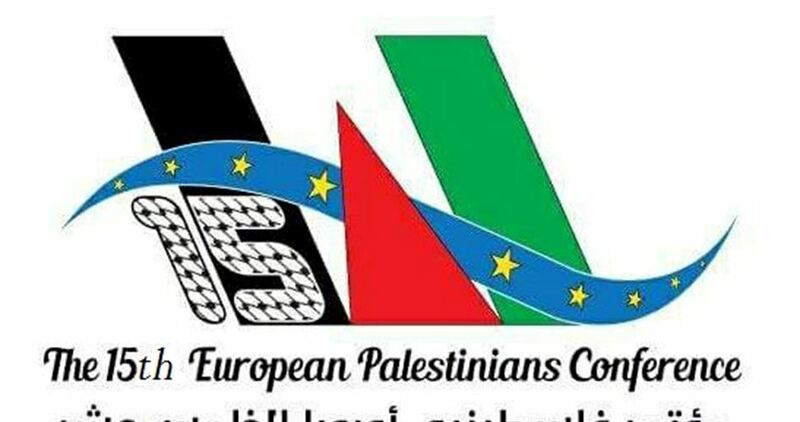 The 15th Palestinians in Europe Conference is slated to take place on April 15, 2017 in the Dutch city of Rotterdam, according to its organizers. In a brief statement on Saturday, the organizers said the conference would highlight the ill-famed Balfour declaration and its impacts on the Palestinian people, and confirm the Palestinian people’s adherence to their right of return. They invited the Palestinians living in Europe and advocates of the Palestinian cause to participate in all events of the conference. The Dutch government this week expressed its public concern about the intimidation of human rights organizations assisting the work of the International Criminal Court in The Hague. 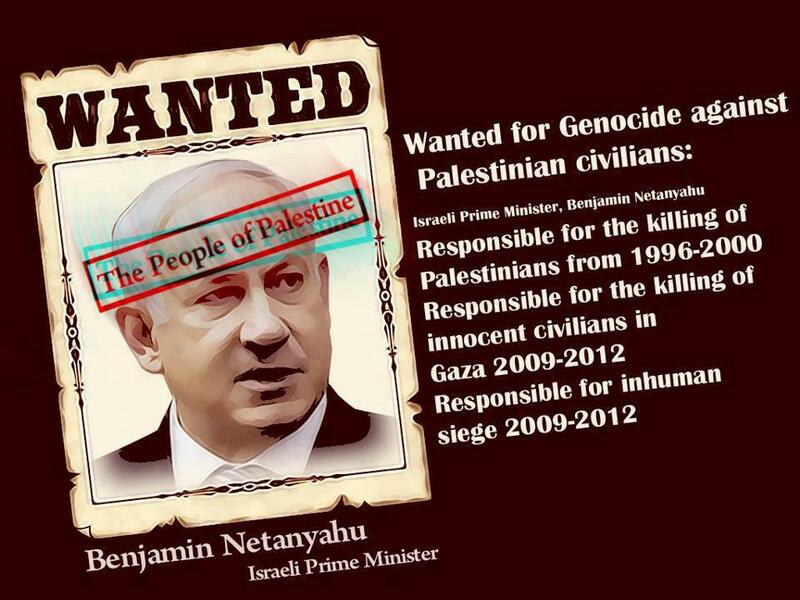 The positions outlined by Dutch ministers make clear that Israeli Prime Minister Benjamin Netanyahu’s recent visit to the Netherlands has not tamped down concern over the threats and harassment authorities believe are connected to investigations into suspected war crimes by Israel. For months, Nada Kiswanson, a lawyer with the Palestinian human rights group Al-Haq, has reported receiving intimidating phone calls, emails and a bouquet of flowers with an ominous message, threatening the lives of her and her family. Al-Haq and Kiswanson believe that the threats are related to their work on the ICC’s preliminary examination of possible war crimes committed by Israel in the occupied West Bank and Gaza Strip in the summer of 2014. Last month, Dutch authorities said they were investigating threats against several human rights organizations. This came after intervention by the ICC itself. The court’s registrar Herman von Hebel told the newspaper NRC Handelsblad that the body has never seen such threats to employees of nongovernmental organizations working with the court. And earlier this month, a veteran Israeli intelligence analyst tied the harassment of Kiswanson to “black ops” run by Israeli spy agencies intended to smear and intimidate people and organizations working for Palestinian human rights and Israeli accountability. The Dutch government also suspects that the threats against Kiswanson relate to her activities with the ICC. Their letter responds to parliamentary questions from Tunahan Kuzu, a lawmaker who publicly refused to shake Netanyahu’s hand during the Israeli leader’s visit. The ministers write that Kiswanson’s situation is being “taken seriously” by authorities, who opened a criminal investigation into the threats in February and who have been providing her with protection. The government also expressed concern that the threats against human rights organizations could damage the “status and reputation” of the Netherlands, which hosts several international juridical bodies including the ICC. The ministers would not comment on the outcome of the criminal investigation because it is ongoing. “These threats are part of a systematic and planned campaign that began in mid-2015, with the intent to disrupt the work of organizations, defame them and impact their funding,” the council said. The council mentions in particular Al-Haq, Al Mezan, the Palestinian Centre for Human Rights (PCHR) and BADIL Resource Center for Palestinian Residency and Refugee Rights as targets of the campaign. It is no surprise that all four organizations have made submissions to the ICC. The Palestinian Forum in Europe—Tawasol—hailed the Dutch MP who refused to shake hands with the Israeli Prime Minister, Benjamin Netanyahu, during a two-day stopover in the Netherlands last week. The Tawasol Forum hailed Dutch MP Tunahan Kuzu for refusing to shake hands with Netanyahu. Head of the Tawasol Forum Zaher Biraoui thanked the Dutch MPs who boycotted Netanyahu’s visit and refused to meet with him in protest at the crimes he committed against the Palestinians. In a letter sent to Kuzu, among other Dutch MPs, al-Biraoui said such brave positions uplift the Palestinians and raise Europeans’ awareness of the crimes committed by the Israeli occupation. Al-Biraoui dubbed the moves taken by Dutch MPs as the by-products of underway efforts to boost pro-Palestine support among the Europeans. Much work has to be done to win over the European politics as regards the Palestinian cause. On Wednesday, Dutch Member of Parliament Tunahan Kuzu – of Turkish descent – refused to shake Binjamin Netanyahu's hand as the latter popped in The Hague. Kuzu considered it a scandal that the red carpet was rolled out for Netanyahu. “While the streets of Gaza were reddened by blood that splashed out of the veins of children in the summer of 2014, the red carpet is rolled here,” said Kuzu. A number of Dutch MPs, including Rik Grashoff, announced their decision to boycott Netanyahu’s visit. Activist Muhammad Akari said Netanyahu should be brought before The Hague court as a war criminal rather than welcomed as an official guest. Prime Minister Netanyahu was confronted by an awkward diplomatic insult Wednesday when Tunahan Kuzo, a member of parliament in the Netherland’s, refused to shake his hand. The affront came when Netanyahu met, during his state visit to the Netherlands, with Dutch members of the Foreign Affairs Committee. As he extended his arm to shake Kuzo’s hand, Netanyahu was rejected before the cameras. Kuzo, of Turkish origin, later wrote on his Facebook account that his actions were in protest against Operation Protective Edge in 2014. “At a time when the streets of Gaza are streaming with blood from the veins of children from 2014, it is not appropriate to shake his hand, but to reference the liberation of ‘Palestine,’” wrote Kuzo on his Facebook account. Netanyahu recorded a video responding to the incident. “We saw again another clear example of who wants peace and who doesn’t want peace. I will continue to representing Israel’s position with pride everywhere in the world and I will strengthen its international standing,” he said from his plane after he departed from the Netherlands. 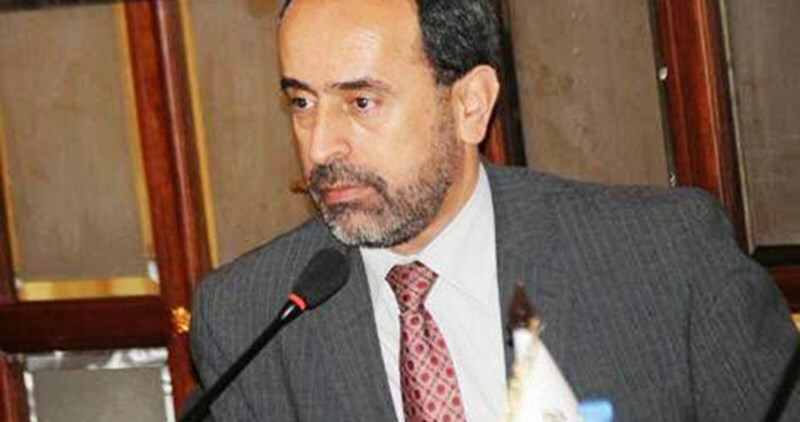 The Palestinian MP Jamal al-Khudari called Wednesday on Egypt and Norway, as the sponsor of the donors' conference, to put pressure on the Israeli occupation authority to allow construction materials’ access to Gaza. 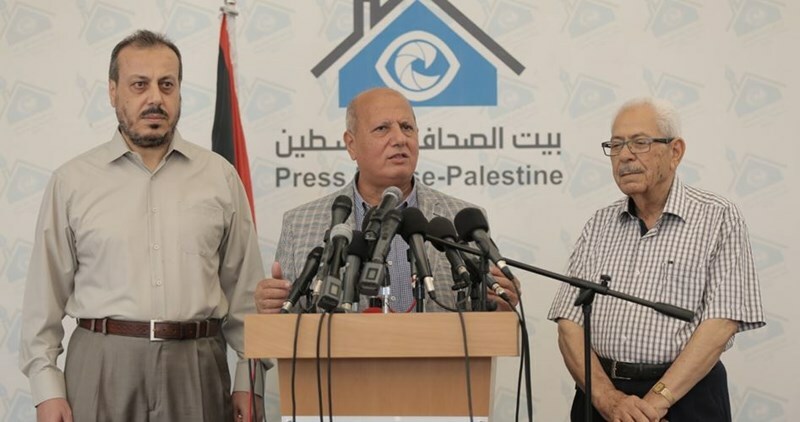 In a press conference held in Gaza City, al-Khudari said that Gaza Strip is still suffering from the effects of the Israeli war that ended two years ago. 65,000 persons are still homeless using uninhabitable mobile homes or living in rented houses, he pointed out. According to his statement, the IOA continued restrictions on construction materials’ entry into the Strip would make its reconstruction an impossible mission. Only 3,000 houses out of 12,000 totally destroyed houses were rebuilt since Israel’s 2014 aggression, while 950 totally destroyed factories are still in need of reconstruction, he continued. On the other hand, al-Khudari considered Israel’s approval to boost energy and water supplies to Gaza including by building a gas pipeline in coordination with Holland as propaganda messages. He renewed calls for ending the Gaza siege and for opening all border crossings without any prior conditions. Dozens of Dutch activists and pro-Palestine citizens rallied outside the headquarters of the Dutch Parliament in protest at the visit of the Israeli Prime Minister Benjamin Netanyahu to the Netherlands. 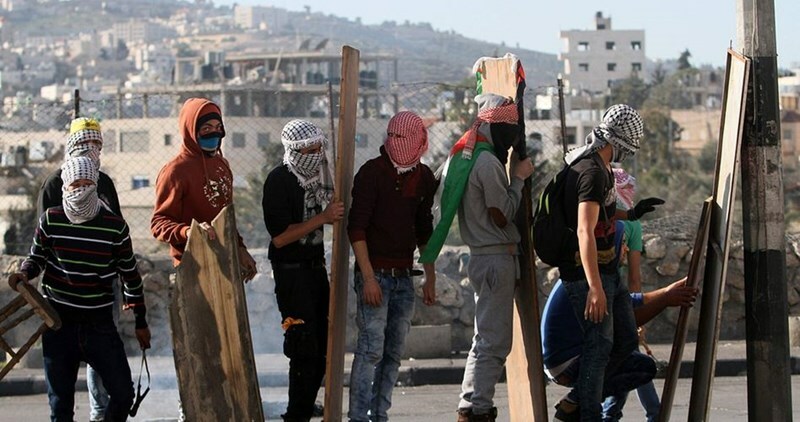 The demonstrators lifted the Palestinian flag and mock-tombs of the children killed in Israeli aggressions, holding Netanyahu accountable for the Israeli crimes against the innocent Palestinian civilians. The protesters spoke up for Palestinians’ right of return to their mother land. 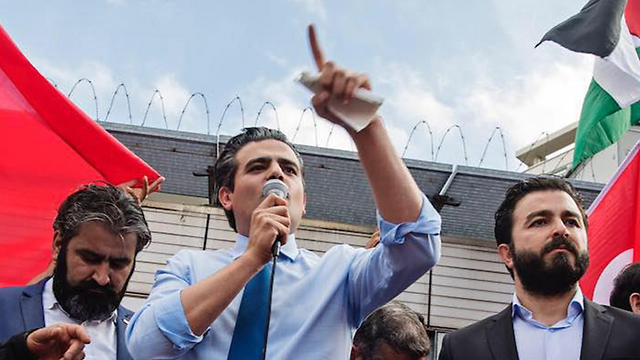 The rally makes part of the “Netanyahu is Unwelcome” campaign, which including filing a petition signed by anti-Israel activists and citizens to the Dutch parliament in protest at Netanyahu’s visit. Speaking on behalf of the campaigners, Head of the al-Wafa European Campaign Ameen Abu Rashed hailed all those who have stood by the Palestinians and expressed their rebuff of Netanyahu’s visit. He called for more efforts to disclose the crimes committed by Israel against the Palestinians. A bicycle parade is slated to take place in the Netherlands to protest Netanyahu’s visit. Former Dutch prime minister Dries van Agt has called for Israeli Prime Minister Benjamin Netanyahu to be tried over war crimes. As he popped in the Netherlands, Netanyahu claimed that the Netherlands will help Israel build a gas pipeline to the blockaded Gaza Strip as part of efforts to boost energy and water supplies to the coastal enclave. Netanyahu further alleged during the visit that his cabinet had already made a decision to lay the pipeline. An angry protest march was organized in The Hague on Wednesday to condemn the visit made by Israeli premier Benjamin Netanyahu to the country and demand his arrest for his war crimes against the Palestinians. 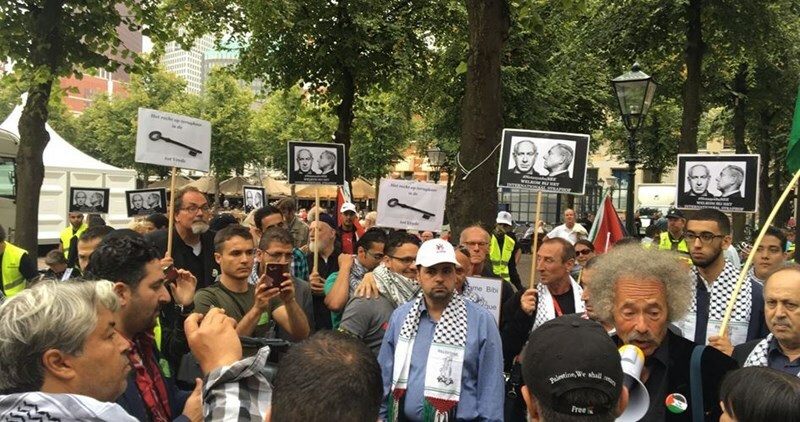 Protesters from Palestine, the Netherlands, and Arab countries participated in the rally, calling for Netanyahu's immediate arrest and prosecution for the war crimes he committed against the Palestinians in Gaza and for other violations. Member of DFLP’s politburo Abu Bashar has also participated in the rally. The protesters called on the Dutch government to respect human rights conventions and not to receive Netanyahu out of respect for the International Criminal Court. The participants also stressed the Palestinian people’s right for self-determination, an independent state with Jerusalem as its capital, and return to their homeland. 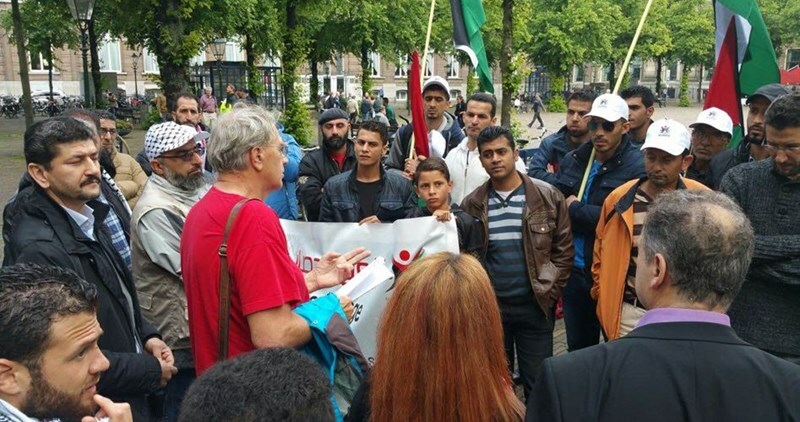 The Palestinian community in the Netherlands on Tuesday rallied outside the parliament headquarters in protest at the mistreatment of Palestinian asylum-seekers. Speaking before the parliament, representatives of the Palestinian community and three asylum-seekers sounded the alarm over the tragic situation endured by Palestinian refugees in Gaza and Iraq. The Foreign Affairs Committee vowed to discuss the matter in the next parliamentary session to be held on June 23 in the presence of representatives of the Palestinian refugee community.